The game of poker has build quite a tradition throughout the years, considering the fact that it was invented long before online poker was even an idea in someone’s imagination. Its long-standing existence has allowed it to grow, develop and ultimately distinguish between several different variants of the game. With the rise of the Internet, online casinos and poker rooms were soon to take up their much deserved place in the virtual world. It wasn’t long before they were joined by top bookies online and began promoting their most popular variations of the well-known game. When it comes to online poker, the following listing is a good illustration of nowadays’ player traffic on these games. This poker variant has a tradition dating back in the old days of land-based gambling establishments, and has continued to hold an appeal for the online poker player community as well. In part, this is due to the fact it is played in the World Series of Poker Main Event. The game is played with two face-down hole cards dealt to the players participating in the hand, and five face-up ‘community cards’. Bets are placed before any community cards are dealt, after the first three (the flop), the fourth (the turn) and after the fifth (the river) card has been dealt. Same, same, but different from Texas Hold’em – Omaha poker is played with four hole cards, even thought you still have to use only two of them and three of the community cards. 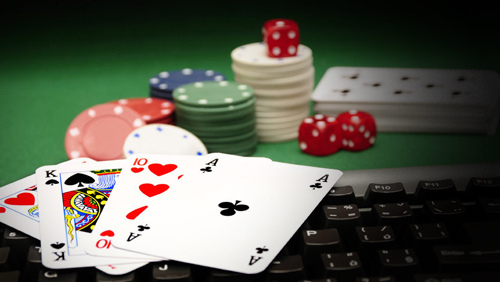 What is characteristic of the game is that online poker rooms tend to offer it as a Pot Limit version, meaning players are not allowed to bet more than the amount already in the pot. This game is different than other poker variants as it does not have community cards. Players are dealt two face-down and one face-up card, and betting starts from the player with the lowest face-up card. It proceeds after the fourth, fifth and sixth card are dealt face-up and the seven face-down again. Still, the best five-card hand wins the game. This poker variant is dealt and played the same as the stud, with the only difference being that the lowest hand wins the game. Here, players are aiming to get the top combination of A-2-3-4-5 known as ‘the wheel’. While it may appear as innovative as pay per head bookie establishments, Razz has actually managed to earn itself a bracelet event at the World Series of Poker. This is an exciting poker variant whose gameplay rules are hidden in the name, so to speak. In fact, HORSE stands for five different poker variants which alternate on given intervals, most often after the completion of a single orbit. The H stands for Texas Hold’em, O for Omaha Hi-Lo, R is Razz, S is for Seven-card Stud and the E is for Seven-card Stud Eight or Better. Make sure you’re focused for HORSE play, or you’ll end up playing the wrong variant as sessions change.